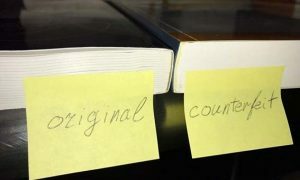 Although counterfeit books are not common in US markets, they are often sold as international editions to unsuspecting customers. As many as not aware of the differences between the two, one gets an impression that counterfeiting is practiced on a large scale. To avoid such confusion, and to not miss out on chances of buying an international edition for a cheaper price compared to its US counterpart, one must know how to differentiate between the two. International or east European editions are basically low-cost editions produced for low-income countries in Europe and Asia. Often these books are launched in the market by the same publishers as in the US, but due to low publishing costs in some countries, such as India, they can be produced at a lower price. This makes it easier for students living in those countries to buy these books as not many of them can afford the US prices. 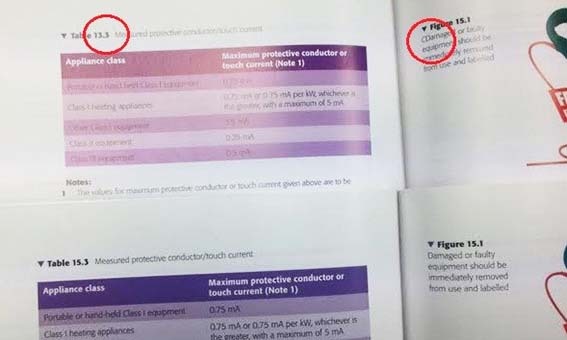 Counterfeit textbooks, on the other hand, are produced illegally by a third party, most of the times these publishers have nothing to do with the book, and are just there for the money. Although these books can also be procured for cheap, which might be beneficial for someone with economic restraints, the process is unethical and the books are often full of errors. Such activities often take place on online marketplaces such as eBay, where a number of people look for cheaper options. Since the books they’ve bootlegged are in high demand, they’ll be easily sold. Lower price only makes it appear as a good deal, which fastens the process. More often than not, these books are counterfeit or fake, with the seller just trying to make some quick bucks. It is advised to closely scrutinize the books, and avoid buying them if something seems fishy. A number of counterfeit books use thin, low-quality paper to save costs. 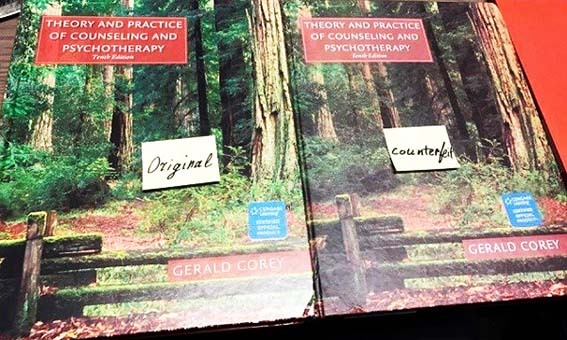 This can be easily identified, as original books often use glossy paper, while fakes will have normal one. Depending on the quality of paper used, counterfeit books are often of a different thickness than originals. Some might be thick, whereas others might be thinner. If you have an original copy for comparison, this is easy to deduce. Again, as cost-cutting plays an important part in the production of counterfeits, producers aim to use less paper. This result in these books being smaller compared to originals. This again can be easily spotted if you have an original copy. As you might have understood by now, quality is not a major factor while producing counterfeits, this result in such books having lower quality pictures, worse color tones, poor binding, and uneven prints. If the book differs too much from the original but has the same ISBN, most probably it’s counterfeit. Look for any markings that indicate whether the book is an international edition or not. If you cannot find them, your suspicion is confirmed. 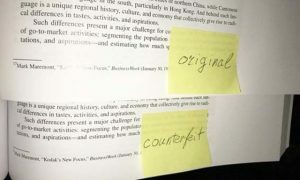 This method is quite useful, especially if you do not have an original copy to compare with. If the barcode at the back of the book looks distorted or fuzzy it’s a fake. It might even look like a photocopy, or might be colored while a regular barcode is black and white. 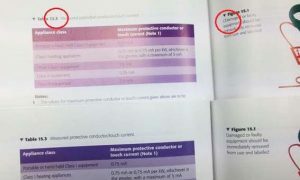 Often, books are scanned so that their contents can be copied by special software, this leads to a number of errors in the text as the software is not always precise. Usually, pirates only target the top 10,000 books. So if you are holding something that is not popular, it is most probably not a counterfeit. That being said, it’s always a good practice to look for any signs that suggest otherwise. Differentiating counterfeits from originals gets a bit more difficult once we start dealing with rare books. As most of these belong to the pre-ISBN era and are too rare to compare with another copy this process requires a more skeptical approach. One fault that experts have found in the process of making a book look like old is fakers’ tendency to overage. That means that when you are looking at a book published 70 years back, but get a feeling that it is over 100 years old, it most probably is a fake. 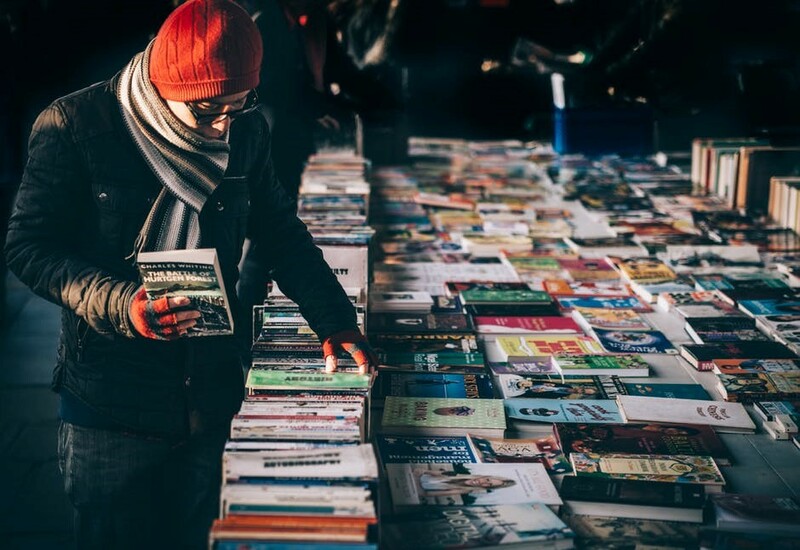 In today’s global markets, where people from different countries are selling their old books online, it becomes necessary for book buyers and hunters to be able to differentiate between fakes and originals. 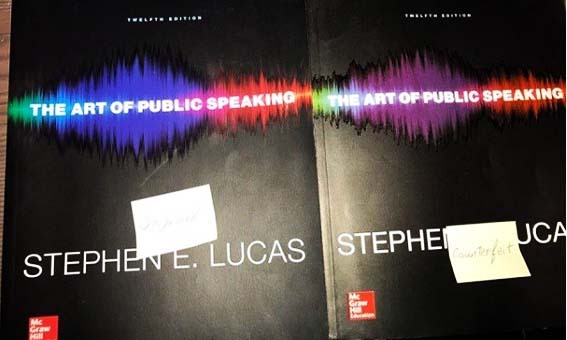 A book that looks different from the one you have back home might just be another edition, whereas a book that looks similar to the one you have might be a fake, everything becomes clear with close scrutiny.